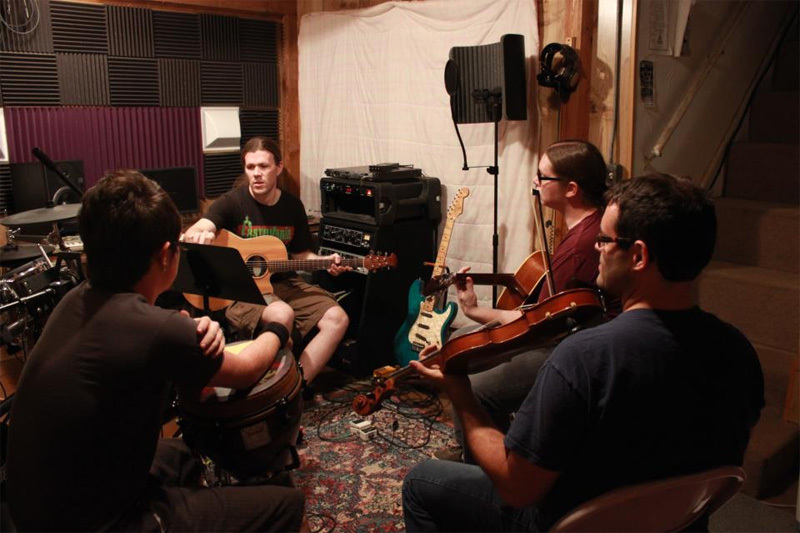 Provocative and entertaining Oklahoma progressive metal act Vangough takes a turn to the acoustic with their new EP Acoustic Scars. According to principal songwriter, guitarist and vocalist Clay Withrow, this set was born out of their round trip to the most recent ProgPower event in Atlanta. The EP revisits the last two albums covering the themes and stories of the Rabbit Kingdom. True to form Vangough need not be electric or necessarily metal to intrigue and entertain you. For Acoustic Scars, Withrow adds to his acoustic guitar, violin from Justus Johnston and cello from Jose Palacios. These elements add from folk to dreamy character to the music. Mostly this orchestral and symphonic sound can be either chilling or inspiring. It's simply a nice touch, a positive redirection to Vangough's compositional imagination and brilliance. To the five songs, there's an intro, Leaving Bricolage, and an outro, Road to Blighttown, both instrumental. The former moves into the longest track, the contemplative and moving, A Song for Crows. Throne of the Rust, in the middle, allows for a transition from introspection to the more joyous latter half and the livelier, yet clearly emotional, The Rabbit Chronicles. Road to Brighton, the outro, is a mysteriously subjective piece suggesting many thing, the least of which is what Vangough will encounter down the road. Though I'm not sure what's in store after Acoustic Scars, it certainly suggests something new will be upon us from Withrow and Vangough. Certainly, Acoustic Scars is an excellent way to round out 2012 in the progressive rock field. Strongly recommended. You can get the album at Vangough's BandCamp page. Acoustic Scars is another gem from Vangough, an inspired turn to acoustic progressive rock from a talented and imaginative band. Easily recommended.